for owner Reddam Racing and trainer Doug O’Neill. same synthetic surface he will encounter in Dubai. won the 2012 U.A.E. Derby in his comeback. before finishing unplaced in his latest. the March 9 Al Bastakiya at this track and about 1 3/16-mile distance. Zahee and won going away by two lengths. The second through fifth in the Al Bastakiya will try again in the U.A.E. 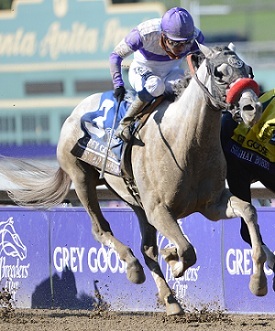 reckoning and thus ineligible for the Kentucky Derby. 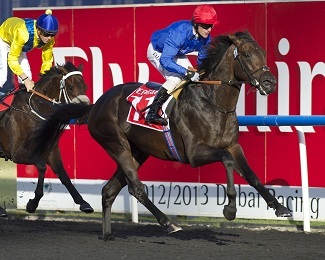 the Meydan Classic on turf. 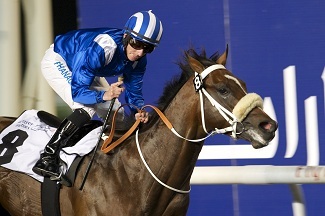 Bin Suroor is likewise double-handed, with the filly Shuruq joining Secret Number. to tackle older horses in Saturday’s Group 2, $1 million Godolphin Mile instead. perfect mark on the line in his first try versus elders. recently fifth as the defending champion in the Group 1 Jebel Hatta on turf. enjoy stepping up in trip off a fourth in the Group 3 Mahab al Shimaal. who needs to move forward here. the cutback to a metric mile. the 2011 edition of this race. unplaced in the Burj Nahaar.